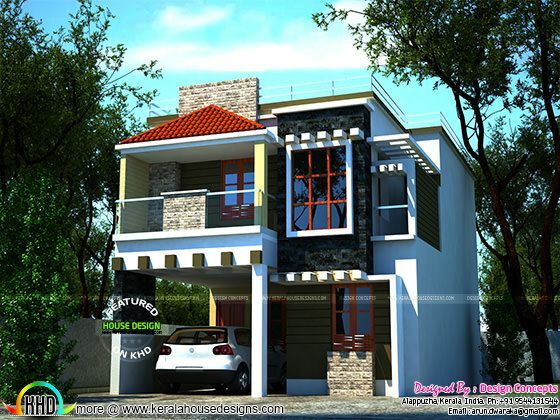 Showcasing two different modern house elevations which shares the same facilities and square feet details. 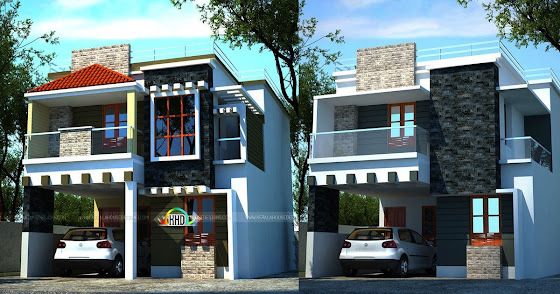 Total area of this house is 1616 Square Feet (150 Square Meter) (180 Square Yards). 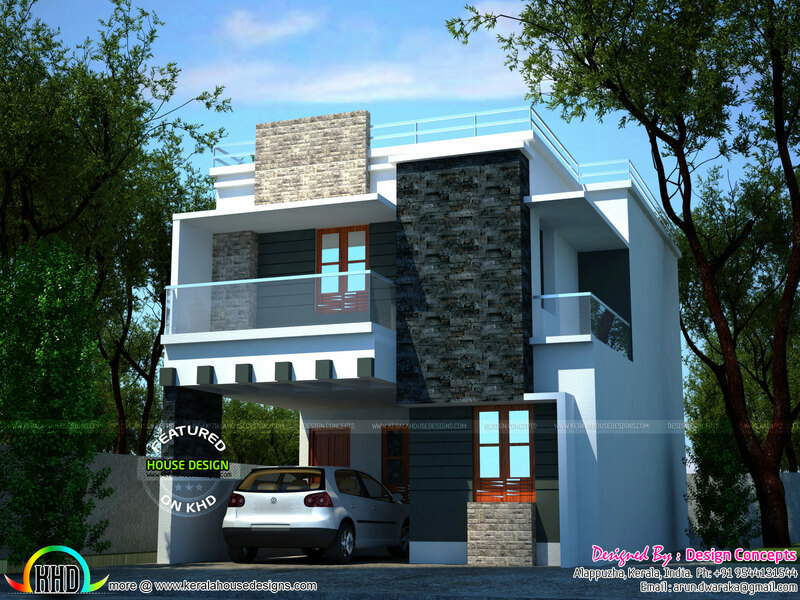 Design provided by Design Concepts (Now Arun Design Atelier), Alappuzha, Kerala. Ground floor : 838 sq. ft.
First floor : 778 sq. ft.
Total area : 1616 sq. ft.
0 comments on "Two different views of a Beautiful double storied house"